Dreading the snow and ice? 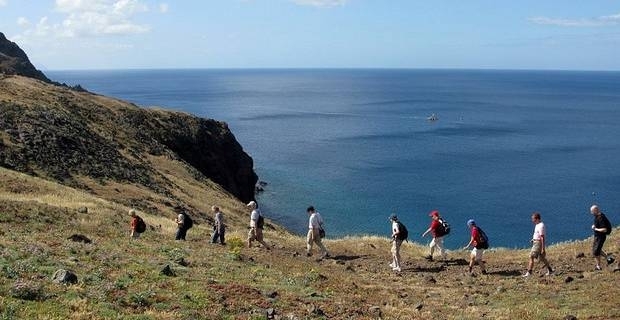 Those who crave a little sunshine in December might consider Madeira as an option for their winter holidays in 2012. Blessed with a temperate climate, excellent walking trails and a long history of welcoming British visitors, Madeira is the perfect island escape from Britain's harsh weather. Those looking to book their winter holidays for 2012 without having to pay premium prices might be attracted by the idea of securing budget flights direct to Madeira. EasyJet offers direct flights to the island from Bristol and London Gatwick. With fares starting at £20.99 one way if you book well in advance, it's possible to find some great deals. Jet2 also offer direct flights to Madeira from Leeds Bradford and Manchester. Special deals start at £58 one way. The island capital, Funchal, is an elegant introduction to Madeira. It's a quaint provincial Portuguese town with mosaic streets, 18th-century town houses and unassuming restaurants and bars. From the seafront a cable-car heads up into the clouds and the village of Monte, offering tropical gardens to explore and spectacular views over the Atlantic to enjoy. The landscape is Madeira's main attraction. Testing trails follow the old irrigation channels, the levadas, criss-crossing the island. Take advice from the Funchal tourist office before heading for the hills. Some of the trails follow ridges with precipitous drops, so you will need a head for heights. The Madeira culinary delicacy is the espada or scabbard fish. It's an ugly-looking specimen, but grilled it takes on the consistency and flavour of monkfish. Don't be too surprised to see it accompanied by another island speciality, fried banana. Your Madeira winter holidays in 2012 are not just about sunbathing on beaches. The island rewards those who want to explore the character of its rugged coast and mountains. For occasional lazy days though, Calheta on the south-west coast does offer an attractive sandy beach and that guaranteed winter sunshine.